Welcome to Jersö Gård in Roslagen. We offer cottages for rent, angling and fishing, party and conference together with other events. 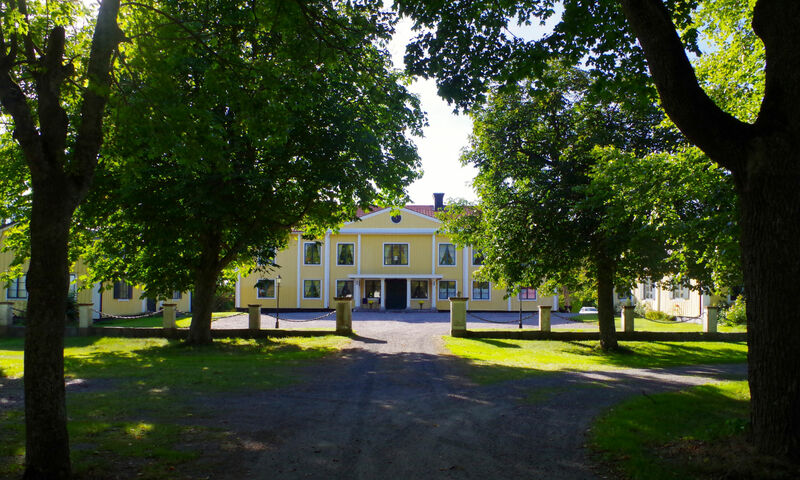 Try out living on a Swedish country estate on your holiday and devote yourself to the activities on the farm such as fishing, swimming, cycling and hiking in the forest. 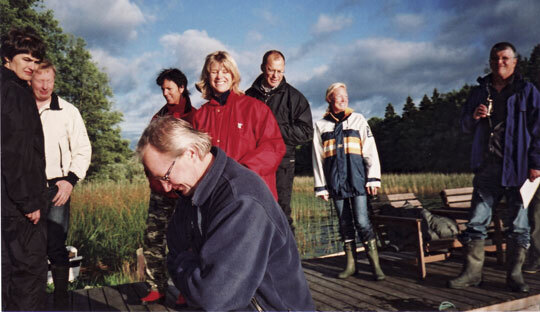 On Jersö you can live in one of our two cozy cottages which dates back to the 19th century. Companies are welcome to try out fresh water crayfish fishing. As a suggestion they can combine fishing with a conference in a country environment. Our cottage Smedjan is well suited for the “small” conference where also a party can be held. Other activities that can be arranged are cheese- & wine tasting and a raclette evening. When requested we are happy to tailor make the activites according to your wishes. Jersö Gård is situated on the lake Erken, about 10 km north of Norrtälje and approximately one hours drive from Stockholm. Lena and Hans Jacobsson welcome you here. 300 meters to the lake to take a swim from a private jetty. 1.5 km to busstop with good connections to Norrtälje and Stockholm. We have two charming cottages in a meadow on the edge of the woods. They both date from the middle of the 19th century. Smedjan, as its name implies, was a smithy and Knösen was a workers accommodation. Each cottage is 70 square metres. They each boast a fully-equipped kitchen, toilet and shower, open fire and TV. There is also a barbeque and garden furniture available with each cottage. On the farm premises there is a well-stocked hunting shop and about two km away there is a shooting range for hunters. Angling and fishing for freshwater crayfish followed by crayfish party. 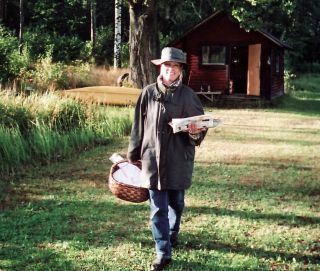 A typically Swedish late summer activity. To catch crayfish in the traditional way is a fun activity! We arrange crayfish and crayfish for businesses during August and September. We can cater for the smaller conference with groups of up to 14 people all year round in Smedjan. Smedjan cottage is 70 square meters and is right next to an oak copse at the edge of the woods. You can have your conference in a peaceful atmosphere surrounded by the countryside.With local partners, we can provide food (local produce) and activities. 8:00 – You arrive and we serve a simple breakfast with coffee and sandwiches. During the rest of the morning until noon you have a conference session. 15:00 – An afternoon activity. For example, you can take a scenic forest walk, or spend some time swimming and angling/fishing. We can supply you with a picnic basket that offers coffee and cake as a snack. 19:00 – Dinner is served. During the crayfish season we can arrange a crayfish party with crayfish caught from lake Erken. We offer parties for companies. We help with all practicalities and can through our partners cater for food (local produce), entertainment, music, waitering and activities. All year around we can cater for smaller parties in Smedjan (up to 20 people). 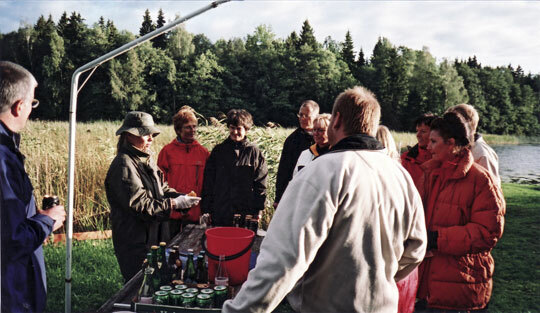 During the crayfish season we can arrange a crayfish party with crayfish caught from lake Erken. Call for requests and prices.